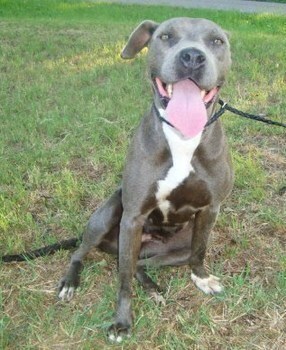 Jersey is a 1 1/2 year old female blue pit bull. Jersey we rescued from the shelter and is just a sweetheart to have around. Jersey came to us and was very skinny so we are working very hard at putting some weight back on her and it is going well but slowly. Once Jersey fills out she will be even more beautiful than she is now. Jersey loves to cuddle, play with toys, or even gone on walks. 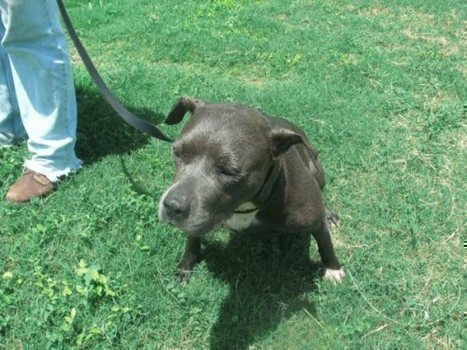 Jersey also does well around children, she is does not get along well with other dogs so we will only place her in a home where she is the only dog. 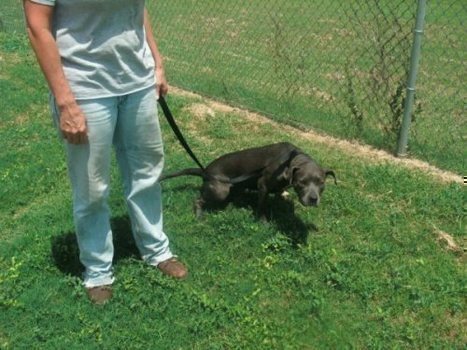 Jersey also is crate trained, and we believe that it would be very easy for her to become housetrained. Jersey comes up to date on shots, microchipped, spayed, and current on heartworm preventative. If one is interested in adopting Jersey please fill out a application by clicking the link at the top of her bio. JERSEY’S ADOPTION FEE: $65.00 Reviewed & Updated: 01-21-11 Jersey is exclusively fed Natural Balance Ultra Premium Dog Food!